Valleys to lakes dressed in sun, we're not afraid if the night should come. 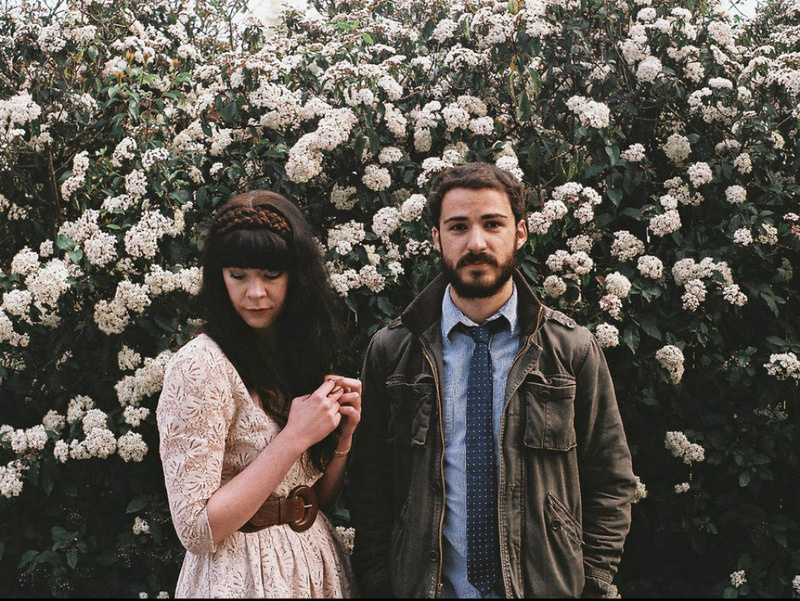 The indie songwriter collaboration, Golden Youth, released their debut album, Quiet Frame; Wild Light, via Slospeak Records on May 28th, 2013. Golden Youth is an innovative band that focuses on orchestral instruments to convey their driving songs. From timpani's and vibraphones to flutes and celeste, they pair unconventional instruments to accompany their memorable melodies. Top that off with soaring female vocals and Golden Youth's debut record Quiet Frame; Wild Light will remain in your record collection for years to come. Fronted by Stephanie Lauren (vocals, keys) and Kyle Monroe (guitar) in 2012, Golden Youth is the product of two singer/songwriters from separate bands, curiously joining together to see what would happen if their creativity collided. "Golden Youth is based on a friendship," Monroe shares. "It just so happens that we all really enjoy playing music together." It's this relationship focus that led them to partnering with Slospeak Records in 2012, after writing, recording, and mailing out a handful of songs. "We decided to partner with Slospeak because of the amazing feeling of family - you just don't find that with most labels." Says Stephanie Lauren. Although Stephanie Lauren and Monroe are the driving force behind the band, their live show is the opposite of the classic, stripped-down, duo sound. Backed up by a handful of other musicians, Golden Youth brings a large and powerful presence to their show. "Something I love about our band dynamic is that it consists of a group of dedicated friends," Monroe explains. "We are very lucky to be in a community of talented and willing musicians." With their debut record, big things are ahead for Golden Youth. Quiet Frame; Wild Light features an organic, large sound that is brought to life through an array of nontraditional instruments. Stephanie Lauren tells us, "This record is so special to me because it seemed to come out of nowhere. I could feel my life growing in a new direction and this album will always be a beautiful reminder of that time. Music has been a safety net for me when it comes to dealing with things I don't understand. When I get lost in life, I try to just write my way out! I hope listeners can relate to the hints of new life and adventure in these songs! I just want to encourage them with; what is ahead of you is always better than what you're leaving behind!"